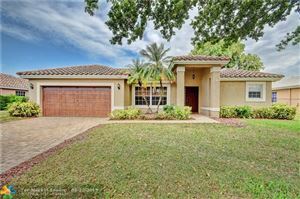 Coconut Creek is in the north central part of Broward County situated between Pompano Beach, Margate, Coral Springs and just south of Boca Raton. The city is nicknamed the Butterfly Capital of the World because it is home to the world’s largest butterfly aviary, Butterfly World. There are many fine local shops and dining spots throughout the city, but many congregate at the Promenade at Coconut Creek. The city also hosts the Seminole Casino, a full casino with live blackjack dealers and many of your other favorite table gambling games. Coconut Creek has an abundance of city parks for its residents use and has a unique environmental consciousness. The city is the first in the state of Florida and eleventh in the nation to be certified as a “Community Wildlife Habitat”. At 626.7 acres, Tradewinds Park & Stables is one of Broward County's largest and most diverse parks and is located in Coconut Creek. On the south side of Sample Road, you'll find a disc golf course, a lake for fishing, athletic fields, and world-famous Butterfly World. On the north side of Sample, the park offers horse stables, an educational farm, and model steam train rides. Both sides of the park include playgrounds and picnic areas, as well as rental shelters of various sizes. Housing is primarily single-family homes, condominiums and townhouses within professionally landscaped communities, many gated. 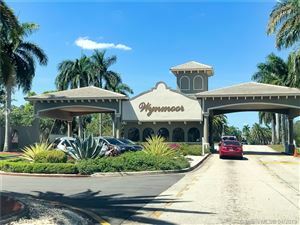 Wynmoor Country Club, an active-adult 55+, condominium community is also located in Coconut Creek. Wynmoor is home to approximately 9,000 seasonal and year-round residents. Amenities include a 970 seat theatre, one 18 hole executive golf course, 19 swimming pools, shuffle board, tennis, horseshoe pitching courts, bocce, billiards, a fitness and business center and so much more. For more information on availability just give me a call.